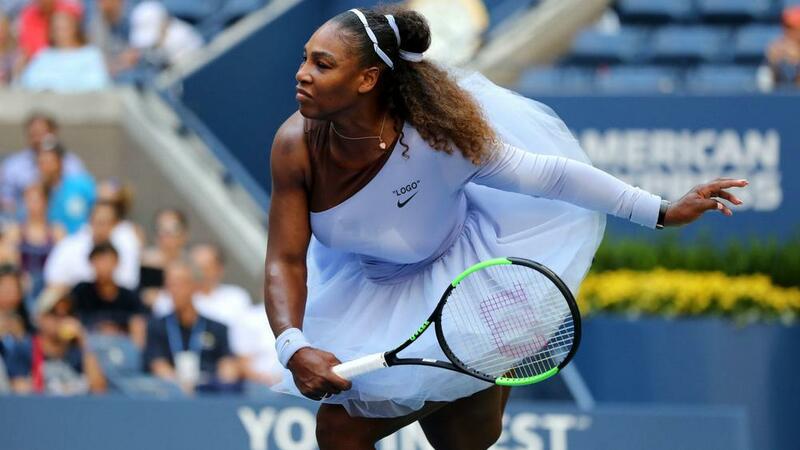 Serena Williams overcame Kaia Kanepi in three entertaining and power-packed sets to reach the quarter-finals of the US Open. Williams, a six-time champion at Flushing Meadows who is seeking to equal Margaret Court's record of 24 grand slam singles titles, felt she produced her best performance since returning to the tour when she dropped just three games against sister Venus on Friday. A year and a day on from the birth of her daughter, Alexis Olympia, she was even more dominant in the first set against Kanepi, taking just 18 minutes to inflict a bagel on her opponent. However, the unseeded Estonian - herself a notably aggressive player - rallied superbly to force a decider and Williams had to work hard to regain control before she eventually triumphed 6-0 4-6 6-3 and set up a last-eight meeting with Karolina Pliskova. Kanepi, the conqueror of top seed Simona Halep in round one, won just six points in the opening six games as a red-hot Williams fired winners at will. Yet the underdog drew first blood in the second set and soon augmented that lead with another break of serve as her own impressive power came to the fore. After failing to serve out the set leading 5-2, Kanepi saved two break points in her next service game and levelled the match by winning a game packed with attractive winners from both players. The importance of a hard-fought hold for Williams at the start of the third was highlighted by a loud cry from the American as she converted a backhand winner, which drew prolonged applause from the crowd. There were more cheers when the home favourite then broke for a 2-0 lead and Williams never looked like being denied victory from that point on.